What is EAZI-BREED CIDR Cattle Insert? The CIDR CATTLE EAZI-BREED 10-pack for cattle allows for the synchronization of estrus in cows and heifers. The artificial insemination cattle insert promotes progress of the first postpartum estrus in suckled beef cows and the first pubertal estrus in replacement beef heifers. Who is CIDR CATTLE EAZI-BREED formulated for? How is CIDR CATTLE EAZI-BREED used? 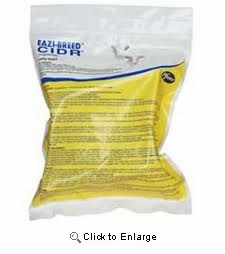 EAZI-BREED™ CIDR® Cattle Inserts contain 1.38 grams of progesterone in elastic rubber molded over a nylon spine. They are packaged in a plastic pouch with 10 inserts to a pouch. 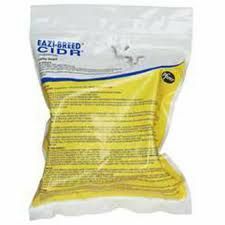 The special EAZI-BREED CIDR applicator is packaged separately. 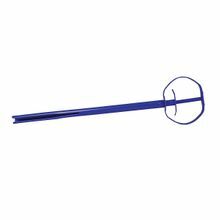 EAZI-BREED™ CIDR® Cattle Inserts are administered intravaginally, one per animal, in beef cows and heifers. The EAZI-BREED CIDR Insert releases progesterone during the seven-day treatment period.